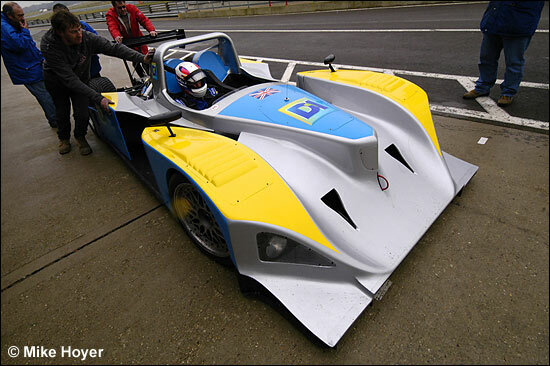 Mike Hoyer caught the D1 Oils-backed groupBIO Lola testing at Snetterton last week – which was the cue, unfortunately, to take this car off the Sebring entry list. 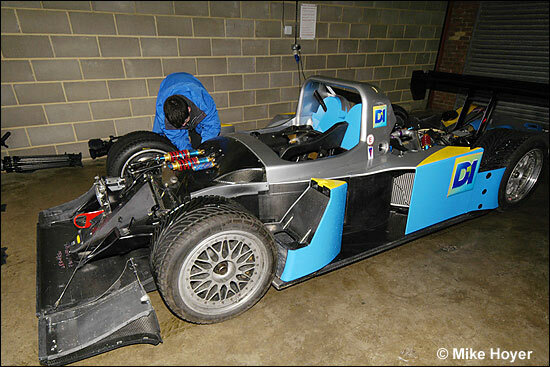 ’Unforeseen engineering work’ has led to ‘time running out’ on the planned trip to Sebring, but Operations Manager Ian Dawson is looking ahead to the Paul Ricard test days at the end of this month, for the first public view of this project. Harri Toivonen tested the car last week. Much of this 2006 project is all-new, the latest engine being fitted with a new exhaust system, turbochargers and electronics – the latter provided by AER. 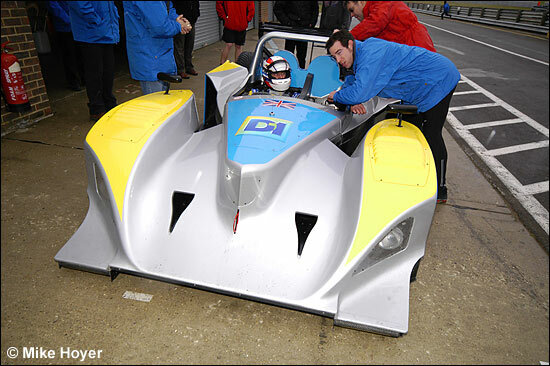 The Lola is a full hybrid now, created with the support of Lola engineering staff – and it also has a paddle shift system for 2006. “The only part we haven’t changed is the monocoque,” confirms Ian Dawson. It’s been a huge undertaking for Ian Dawson and his team, but Paul Ricard later this month should see this revitalised project running in anger.